Brandon Oriental Rugs -- Destinations have attractions: places of beauty, places to gather, something unique to draw us to them. We pass many "pass through places" without thought to be at the destination that is all we can think about. 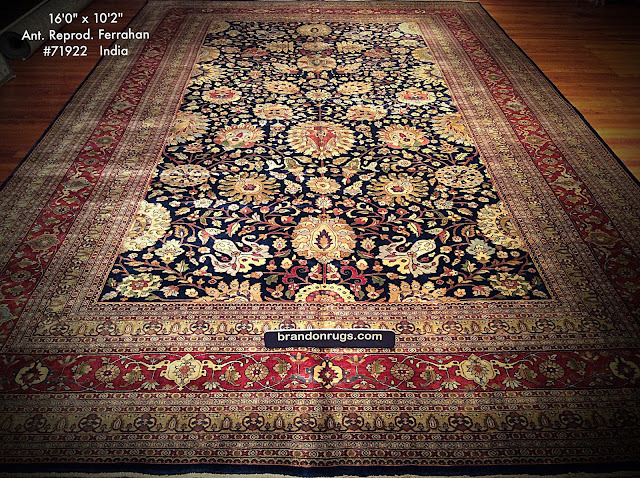 Brandon Oriental Rugs -- Had a discussion with a designer and client today as to whether or not the #layeredlook provides #savings versus getting the #rightsize #rug . Concensus opinion was that if you have a too-small rug you want to use, layering can help make it look and function better in your room. Otherwise, avoid extra complications and go for the correct size to allow the room to function correctly. 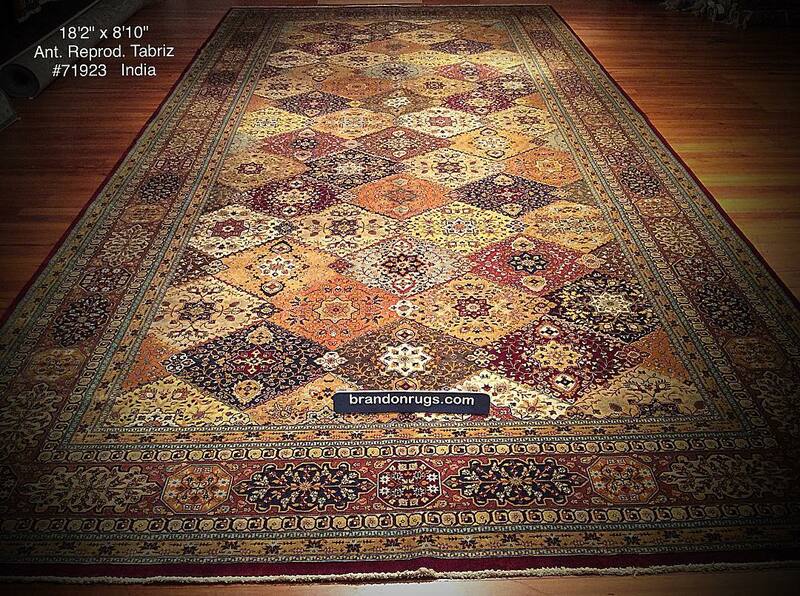 Brandon Oriental Rugs -- The right idea can make everything else very simple. Brandon Oriental Rugs -- The lowest place isn't lowly if you make it grand. This is another in a series of How-to videos regarding use of Real Handmade Oriental Rugs from Bucks County, PA oriental rug store Brandon Oriental Rugs. "Brandon Oriental Rugs helps you make your world your way." The rugs seen in this video are just some of the many selections Brandon Oriental Rugs found, and custom picked, to help new homeowners in Upper Bucks County, PA complete renovation of their two hundred year old farmhouse. All of these rugs (and many others further down in the piles) will be delivered to the home for evaluation and final approval by the homeowners. When you encounter it, you'll realize there is nothing "virtual" about a real handmade oriental rug; especially one that is room-size. If you live within a fifty mile radius of Bucks County specialty rug store, Brandon Oriental Rugs, you don't have to imagine what a fine quality rug would look like in your room. Brandon provides a host of complimentary services to help you find the rug(s) you want; spend less for them than you would via any other source (including internet rug sellers); and actually see them and try them in your home before buying. Our complimentary services include delivery, in-home trials, and design consultations to help you choose the best possible rug for your taste and decor. We also offer rug cleaning and repair/restoration services, and certified rug appraisals to protect your fine quality rugs throughout all of the years you will enjoy them. Please call or e-mail us, and invite Brandon to assist you with your rug search. It will be our honor to help you in every way we can. We hope to make you believers in the real truth that "There ain't nothing like the REAL thing." Want something truly unique, durable, valuable and beautiful to perfect the design of a BIG room in your home or office? 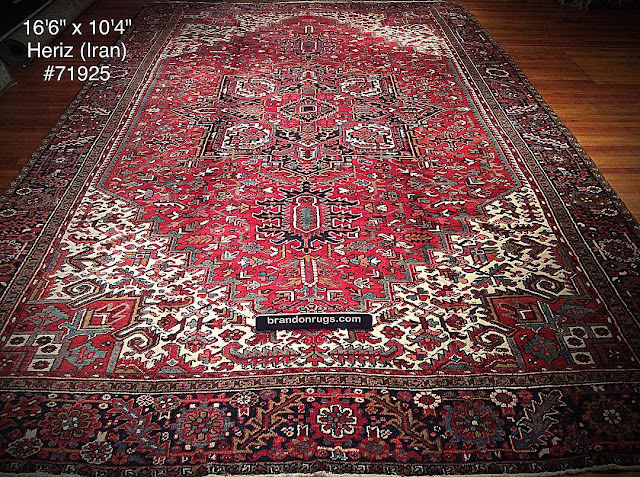 Consider a REAL oriental rug from Bucks County, PA rug store Brandon Oriental Rugs. 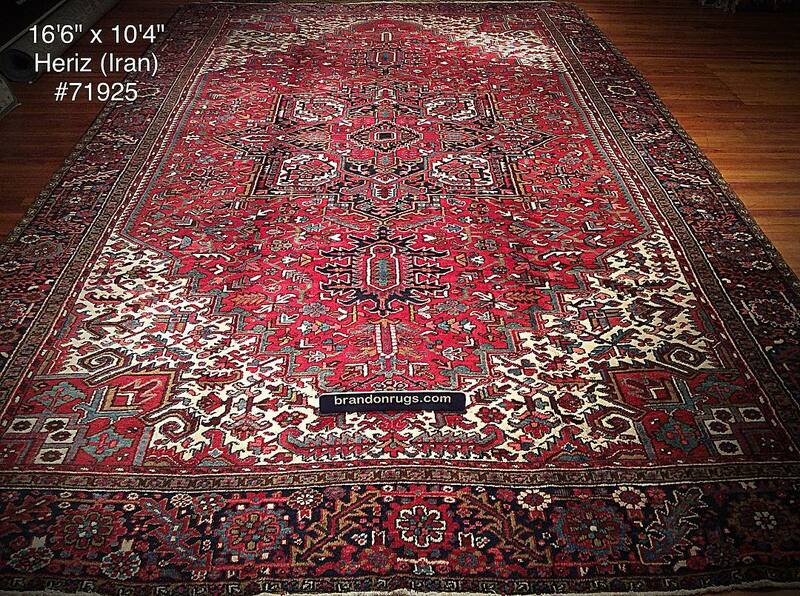 Magnificent handknotted oriental rugs in useful and unusual sizes. You'd have to look on, like, Page 100 to find rugs this size of this quality in an internet search for "handmade, area-rugs". Brandon finds the design, colors, size and price you want. Brandon delivers and lets you "try it BEFORE you buy it." Brandon Oriental Rugs is a real place with actual people you can speak-to, and work-with; and who will work for you with commitment. Unless you want to waste time and money on, like, two weeks of DIY while you chase "e-tale" solutions for your rug needs -- that will still be more costly than what Brandon offers -- please accept our offer to help you. You will actually know where we are. You will get what you want with savings. There will be real people standing behind what is offered; and we're friendly. Save callouses on your thumbs and fingers from texting and clicking around for answers to your questions and desires regarding quality handmade area rugs. Save your back, and a whole lot more too with Brandon Oriental Rugs helping you.